There is nothing more fun than creating your collection of animals and being the Noah of the 21st century. Would you be able to do it? 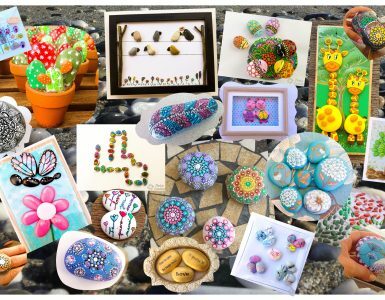 We have started painting owls on stone for create our own zoo, but you can also create other animals like African giraffes, dragonflies, and others you can find in the category of animals. 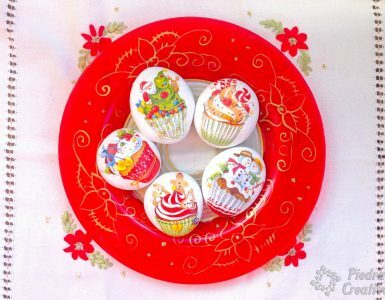 Special markers for stone or ceramics. First, we have used stones with owl silhouettes. It is important to wash the stone and wait until it is dry. We have chosen yellow, green, orange and red shades for the big owl, we have also used black and white marker pen. For the small owl we have used blue, gold, green, white and red, in addition to the same black and white markers. We recommend giving two layers of paint so, if you choose this option, you should also wait for it to dry between layer and layer. That way you can draw better on the stone later. 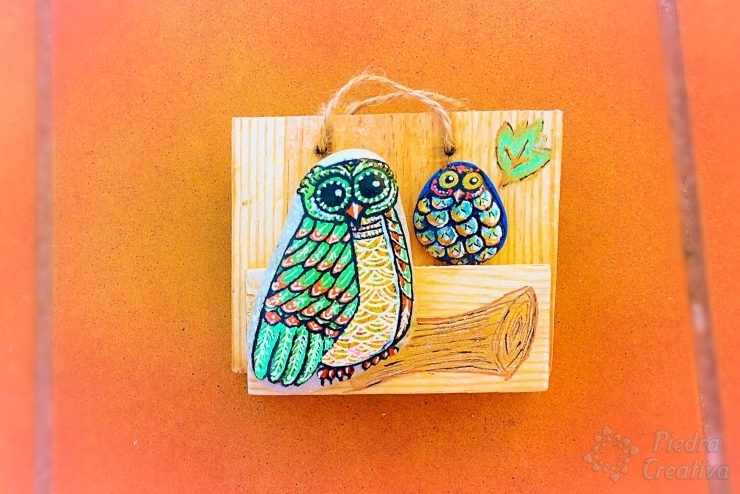 Then draw the owl with a pencil before using Paint. 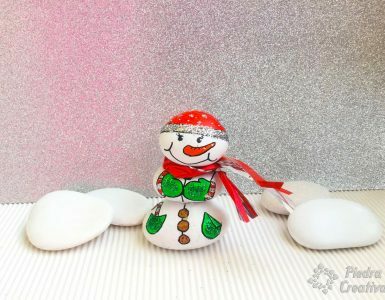 To create the details and outline you can use the special stone marker. Apply a layer of varnish for stone, thus you will get a better result. 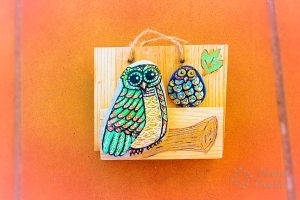 Another nice idea is to create a picture with a piece wood, gluing the owls over it . 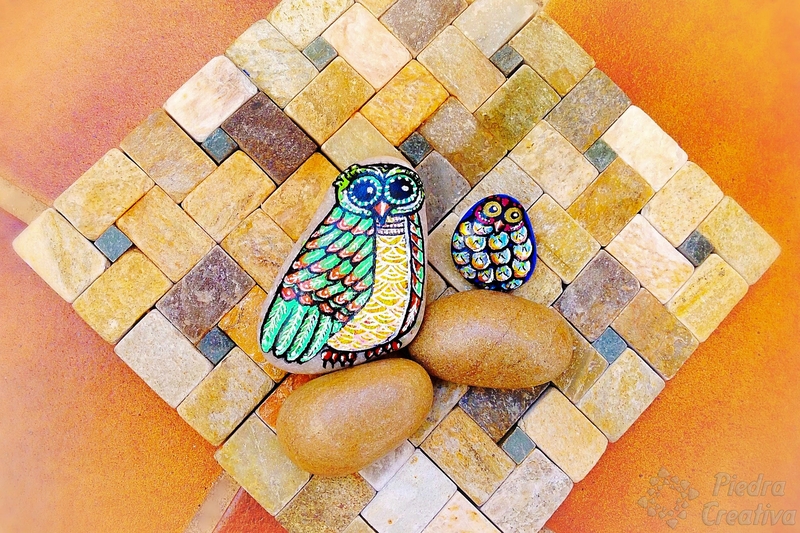 Owls give us luck, so paint owls on stone and create your own zoo of luck with PiedraCreativa.